Teach for Ithaca Freeskool’s summer session! 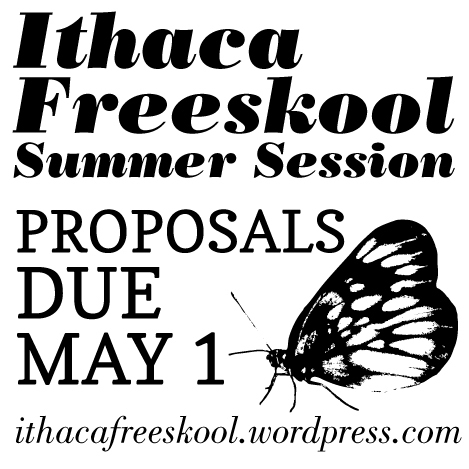 We’re looking for passionate people who want to share their skills and knowledge in the upcoming Ithaca Freeskool summer session, June 1 to August 31. Proposals are due on May 1st. Click here for the flier, or click here for information about how to submit your class proposals. Tell your friends, and feel free to share the flier!